We would like to thank the entire community for your support throughout this morning. All students are in class and school is proceeding as normal using our two hour delay schedules. All schools will be following lockout procedures today as a precaution. Parent Scheduling Day at the high school has been postponed to Monday. All extracurricular events will proceed as normal. Thank you for your patience. Earlier this morning, due to a social media post, law enforcement officials notified school administration that a bomb threat was made toward the High School. State police along with county and local officials have conducted a search of the building with the trained bomb dog. The building has been cleared of any threat. We will go ahead with our normal two hour delay schedule for all schools. All high students can expect to be searched with a metal detector as they enter the building this morning as an added security measure. We have just been notified of a potential threat against Crawford County High School from a source outside of the district. While we do not have much information at this time, we have decided to run on a two hour delay at this time to allow authorities time to investigate further. Additional information will be sent out as we learn more regarding school today. It with deep sadness that we report the passing of one of our bus drivers, Kenny Fields. Kenny has driven a bus for Crawford County Schools for over 30 years. Visitation will be held on Wednesday, March 27 from 4:00-8:00 pm at Denbo Funeral Home and on Thursday beginning at 9:00 am until the service. Funeral services will be held on Thursday, March 28 at 11:00 am at Denbo Funeral Home in English, IN. School will be in session on Monday, March 18, Tuesday, March 19, and Wednesday, March 20. 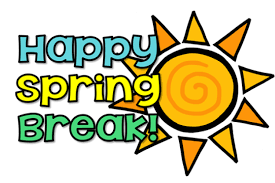 Spring Break will begin on Thursday, March 21. Students will return on Monday, April 1, 2019. Crawford County Schools will be delaying the release of students today, March 14th due to severe weather. Another call & text will be sent out whenever we know students will be released. Thank you for your understanding. 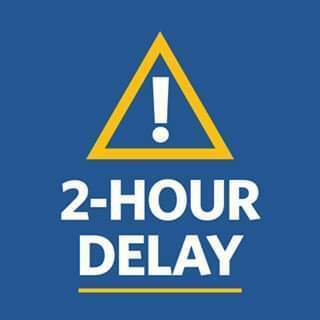 Crawford County Schools will operate on a 2hr delay today, February 1st. Crawford County Schools will be on a 2hr delay tomorrow, January 31st. Due to projected wind chills throughout the day tomorrow, Crawford County Schools will be closed Wednesday, January 30th. The varsity girls basketball sectional game tonight (01/29) will be played as planned. Due to anticipated wind chills in the morning, Crawford County Schools will operate on a 2-hour delay, Friday, January 25th. Crawford County Schools will operate on a 2 hour delay tomorrow, January 22nd. Due to the loss of electricity at some school locations, Crawford County Schools will be closed tomorrow, November 16th. Due to impending inclement weather, Crawford County Schools will operate on a two hour delay tomorrow, November 15th.